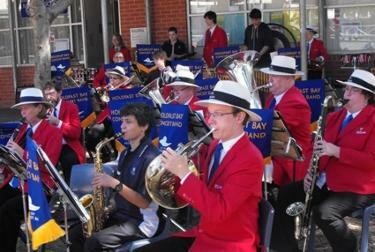 In February 2013, The City of Holdfast Bay Concert Band started up a second band. This band is for people of all ages who are learning to play a new instrument or simply just want to develop their skills on their chosen instrument. The MD Maria Foot will happily welcome any new players who wish to turn up on the night. Holdfast2 rehearses every Thursday from 6.45pm until 7:45pm in the Kauri Community and Sports Centre, Lipson Ave Seacliff. Holdfast2 welcomes instrumentalists of all ages and standards who want to experience the challenge and enjoyment of making music with other people. It offers an opportunity for students, siblings and adults who either haven’t been playing for long or who have taken up a new instrument, to gain experience in playing with a group. Several Concert Band members join in and play with the group. Holdfast2 is conducted by Maria Foot, L.Mus.A., B.Mus., Grad. Dip. Ed., a Flautist who holds a Bachelor of Music from the University of Adelaide. She brings her talent, knowledge and enthusiasm along to rehearsals to inspire and guide aspiring musicians. You are welcome to attend the band for up to four weeks before deciding to join. When you decide, please fill in the application form and hand to your section leader. Maria Foot is the current Music Director of Holdfast2 Band. Maria started playing the flute at age 10 and took up the cello while at secondary school. After gaining her L.Mus.A on flute, she worked as a freelance flautist, primarily in the capacity of either solo performance, flute/guitar (Duo Orfeo) or flute/violin/cello trio, encompassing a wide variety of music including classical, jazz, Latin American and popular and for 10 years did casual work with the Adelaide Symphony Orchestra on Flute and Piccolo. Duo Orfeo presented Fringe Concerts in 2011 and 2014. She studied at the Elder Conservatorium, doing a Bachelor of Music (Jazz) degree followed by a Graduate Diploma in Education. At this time, she also took up saxophone and clarinet. In 2013 Maria attended an intensive Conducting Summer School under the tutelage of Jerry Nowak. Maria was the 2014 winner of the Open Ballad section at the South Australian Band Championships (playing piccolo) and the 2016 winner of the Open Flute section at the National Band Championships. On two occasions she performed as soloist playing the Chaminade Flute Concertino accompanied by the City of Holdfast Bay Concert Band and in 2015 and 2016 performed the Doppler Hungarian Phantasy for 2 Flutes and Orchestra with the Burnside Symphony Orchestra. 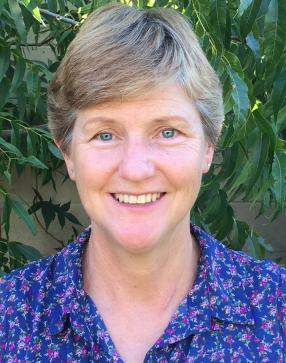 Maria teaches flute, clarinet and saxophone and is an examiner for the Australian Music Examinations Board. She regularly plays flute with Burnside Symphony Orchestra and clarinet with Holdfast Bay Concert Band as well as doing freelance gigs for weddings, parties and special occasions.